Serving as an umbrella organization, the Cultural Arts Alliance of Walton County (Florida) supports the arts through leadership, advocacy, funding, programs and education. Caring and Sharing is a non-profit organization that provides food and monetary support to families in the local community. This goal is achieved through donations and selling of donated goods. Boys & Girls Clubs of the Emerald Coast programs and services promote and enhance the development of boys and girls by instilling a sense of competence, usefulness, belonging and influence. The club offers a safe place to learn and grow – all while having fun. Shelter House is a non-profit center serving domestic and sexual violence victims and survivors in Okaloosa and Walton counties. The supportive, non-judgmental environment at Shelter House works to make every survivor feel safe, empowered and confident. Food For Thought Outreach Inc is a non-profit organization with a mission to support the children in our community. Food For Thought provides healthy, easy to prepare meals weekly to elementary aged children who might not otherwise have enough food. 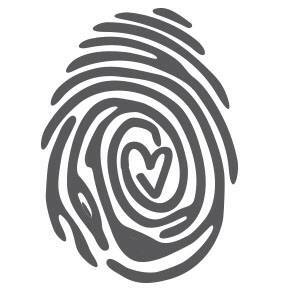 The Sonder Project is a global nonprofit organization founded to spread awareness, offer hope, and offer a hand up to those suffering the most. We focus on high impact projects, bringing together other NGOs to offer proven, sustainable solutions aimed at ending extreme poverty in remote parts of the world and fighting hunger domestically. The REP is Northwest Florida’s premier professional theatre company along the Emerald Coast! With seasonal shows produced and performed by professional actors from around the U.S, who are eager to refine and share their craft. Since the mid-1990s, The Choctawhatchee Basin Alliance of Northwest Florida State College has protected the health of the water resources around the Choctawhatchee Bay and River systems, working to empower citizens to be active stewards of the resources and raise funds to help make a positive change in the environment over the long term. The South Walton Artificial Reef Association is a grass-roots organization dedicated to the construction, deployment, and monitoring of permitted artificial reefs in Walton County's Gulf of Mexico coastal waters for the benefit and health of environment and community. Children’s Volunteer Health Network is a faith-based organization, established in 2005 in direct response to Walton and Okaloosa counties’ large population of families who are unable to access high-quality health services due to the unavailability (or inadequacy) of insurance. Habitat for Humanity of Walton County is a non-profit Christian ministry dedicated to the elimination of substandard housing in Walton County. 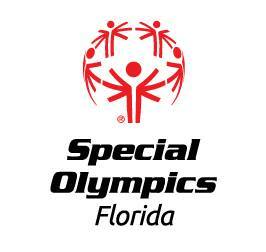 Special Olympics Florida provides year-round sports training and competition to children and adults with intellectual disabilities, at no cost to the athlete or their caregiver as a means to achieve physical fitness, self-esteem and the life skills necessary to be productive, respected and contributing members of their communities. The South Walton Turtle Watch is a group of volunteers whose purpose is to locate endangered and threatened sea turtle nests and to protect them during the crucial nesting and hatching season. Alaqua Animal Refuge – an independent, nonprofit organization located on Florida’s Emerald Coast – advocates the general welfare and humane treatment of animals by providing shelter, prevention of pet overpopulation and adoption services.